Our 5 mil x 12 inch x 200 feet x available on 1, 2-1/4, and 3 inch core Matte Finish Low Melt Roll Laminating Film is ideal for laminating professionals that demand high quality superior laminating results. It offers outstanding clarity, a superior edge seal and prevents wrinkles and fogging. Our top quality low melt laminating film is the equivalent to GBC Nap-Lam 2 and USI Opti Clear Laminating Films and is offered at a much more economical cost to you! Our premium quality low melt laminating film is designed for use by print professionals who require superior results for their lamination output. This matte finish low melt laminating film has a melt temperature of 210° to 230° and will allow for outstanding clarity, higher run speeds and an improved edge seal. Our low melt laminating also helps prevent wrinkles and fogging. It is resistant to water, oil, acid and alkali and can be die-cut. It is equivalent to GBC Nap Lam 2 and USI Opti Clear Laminating Films and is offered at a much more economical price. 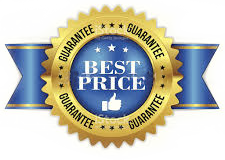 With our Guaranteed Lowest Pricing plus the additional savings you'll enjoy with our quantity pricing offers nobody saves you more money on premium low melt laminating film than Laminator.com.